2018 has started off as a blustery cold winter and our friend Phil the groundhog gave us some more bad news when he saw his shadow, declaring six more weeks of winter. Whether you believe in Phil’s skills or not, one thing is for sure: this record cold winter has had a major impact on our area. How has this affected homeowners? This year, we heard from many of our clients that their pipes have burst for the first time ever in more than 50 years of living in their homes. Sustained wind chills at below zero temperatures have kept a lot of plumbers busy. Because temperatures were so low and were accompanied by snow, there were higher than average amounts of rock salt being used. In some cases, it was ineffective because it was so cold. This is an issue because the salt can be dangerous to driveways, walkways, garages and plants that are in close proximity to the street. Even though our clients may be diligent in using safe concrete and paved surface products, tires and wheel wells can pick up significant amounts of rock salt and brine. The residuals can drop onto the driveway or get tracked into patios and walkways. When the snow melts, the salt gets into soil, seriously hurting plants and trees. Evergreen plants such as boxwoods, cherry laurels, rhododendrons and others get serious winter burn and browning, causing concerned homeowners. Luckily, in most instances the new growth will emerge in the spring. In addition, our company’s work schedule has been impacted by weather delays and low temperatures that cause unsafe word conditions. This has resulted in a larger than usual backlog for the spring. Even with this cold weather, a lot of our clients have been planning their outdoor living spaces, pools and landscapes to be ready when the warm temperatures arrive. If you are planning a project this spring, we recommend contacting one of our team members for a consultation to get started soon. This year is starting off as one of our busiest in over a decade. We are committed to taking care of our clients and continuing our tradition of excellence in customer service and quality installs, but we need your help this year to have us out early enough to take care of your landscape, outdoor living space or pool. And when spring does come, we’ll all be grateful to hear birds chirping, see plants budding and entertain friends and family outdoors! 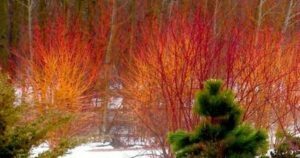 Posted in landscaping tips, plant health, winter landscaping and tagged winter interest plants, winter landscapes, winter landscaping tips, winter prep tips on February 20, 2018 by Disabatino. The winter weather tends to bring a boring, cold landscape that further makes us want spring to come as soon as possible. All the plants in a landscape are frozen in time or cut back to the ground, awaiting the weather to break and bring us their colorful interest for yet another season. 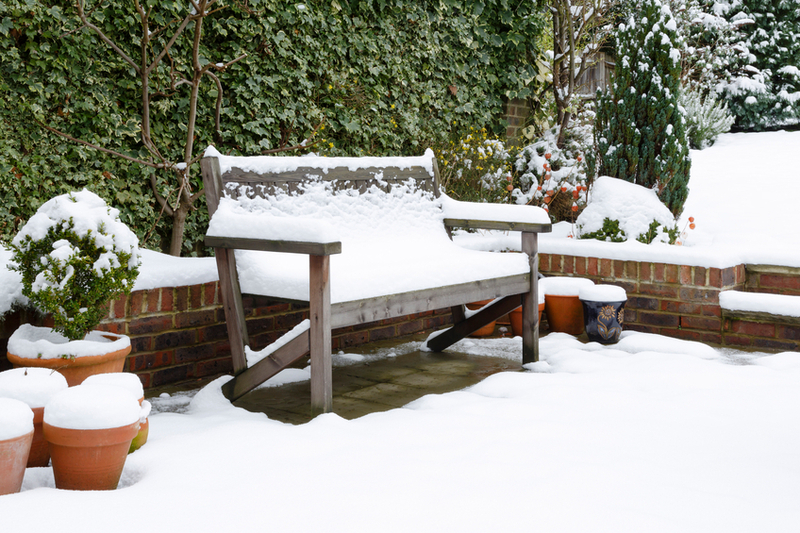 This winter, as you stay warm in your home, consider spots outside that could benefit from a little color added to an otherwise bland landscape. 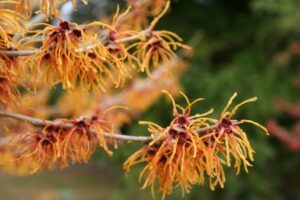 Winter interest plants may not warm you up, but they are sure to bring some color and lifeduring the boring winter days. 1) COLOR – Color that is otherwise not around until the weather breaks in April. Try color twig dogwood or Switchgrasses (Panicum sp.) 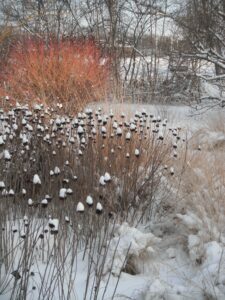 as winter accent plants. 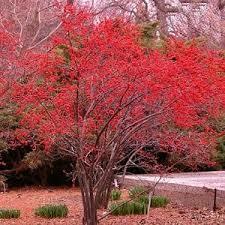 2) BIRDS –Winterberry shrubs and Hawthorne trees have colorful berries that attract an array of birds. 3) FLOWERS – Early flowering Witch-hazel and perennial Hellebore give a surprise of flower color during winter months. 4) SHELTER – Grasses that are not cut back are a habitat for wildlife, including some beneficial pollinators that overwinter in stems of grass plants and perennials. 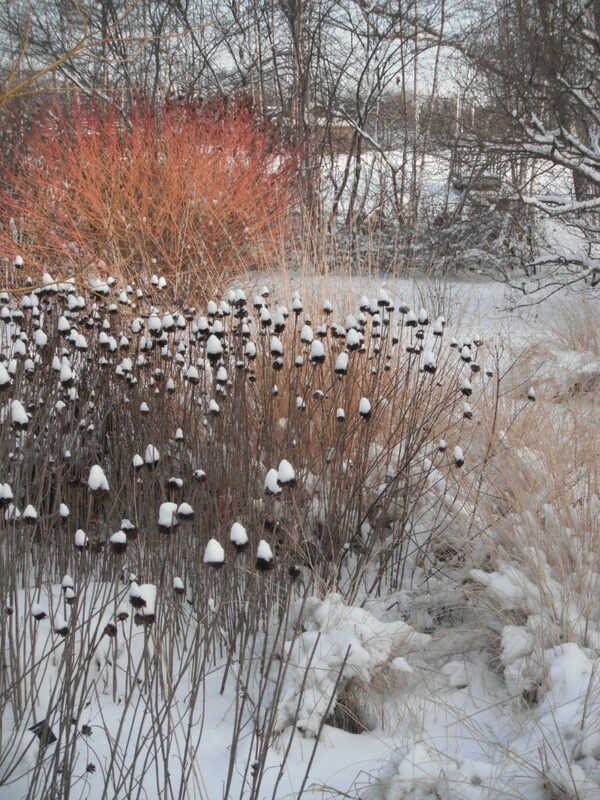 There is no added landscape maintenance for winter interest plants. ‘Winter Interest’ plants are utilized in many ways to improve the winter view until our flowers and warm weather return in the spring! 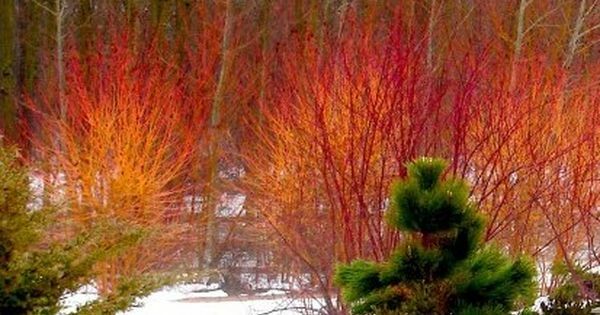 Posted in Delaware Landscaper, landscaping tips, winter landscaping and tagged winter interest plants, winter landscaping tips on January 17, 2018 by Disabatino.